Home » » Phil Morris reprises role of immortal villain Vandal Savage for "Justice League: Doom"
Phil Morris reprises role of immortal villain Vandal Savage for "Justice League: Doom"
It’s a busy time for Phil Morris. Easily recognizable to sitcom viewers as the hilariously slimy lawyer Jackie Chiles on Seinfeld, and renowned throughout the fanboy realm as J’onn J’onzz/Martian Manhunter on Smallville, Morris is splitting his time this February celebrating his latest triumphs. Produced by Warner Premiere, DC Entertainment and Warner Bros. Animation, the all-new, PG-13 rated Justice League: Doom arrives February 28, 2012 from Warner Home Video as a Blu-ray™ Combo Pack and DVD, On Demand and for Download. Both the Blu-Ray™ Combo Pack and DVD will include an UltraViiolet™ Digital Copy. 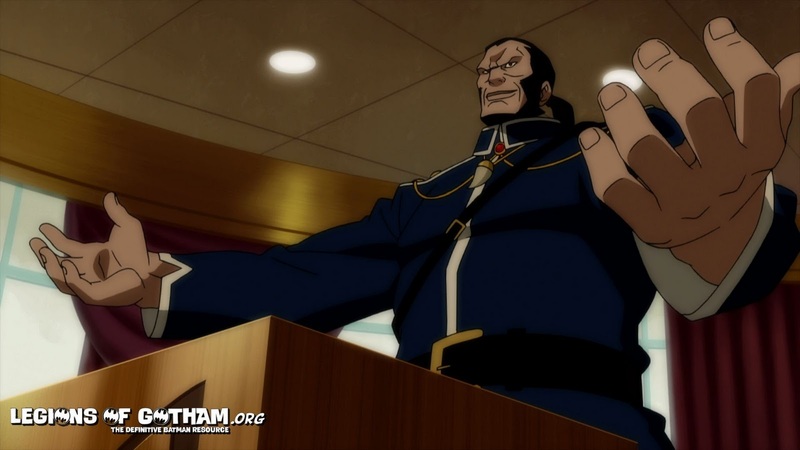 QUESTION: What’s the mindset of Vandal Savage, and what’s been the joy of playing this role? 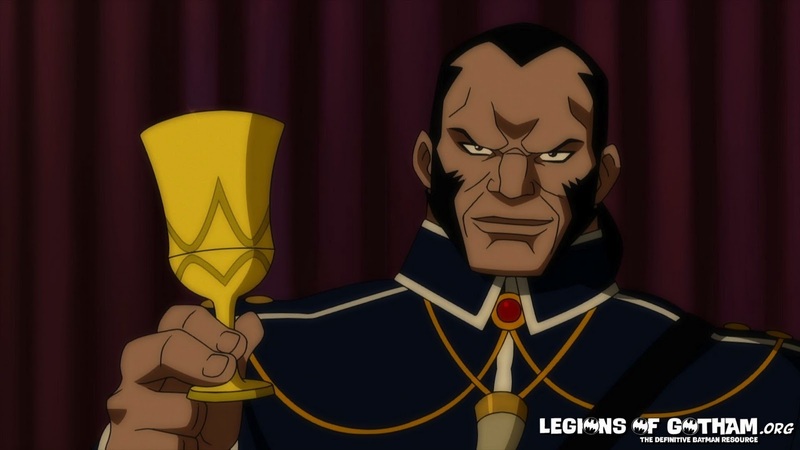 PHIL MORRIS: Vandal Savage is an immortal who has been around the human species for all time. He’s extremely intelligent – he’s incredibly evolved because of contact with a meteor that landed in his village. And he’s always trying to overthrow the world. His vision is that the world should be his, as many of these despots feel. But he feels that because he’s lived so long, he’s entitled. I love Vandal. I played Vandal for the Justice League series a few times, but this is a little bit of a different take on Vandal. Back on the series, he was more of a smooth criminal – he was more nuanced, he had more style. Now, I guess, he’s just had it. He’s kind of approaching things as if to say “I don’t have time to play with you.” He has no more guile left in him. He’s straight, no chaser, which makes him much more dangerous, much more evil, and much harder edged, especially in my vocal performance. And I love this script. Dwayne (McDuffie) really made it a walloping good romp for the Justice League players. And then Vandal is a bit like the Lex Luthor of the show – it’s his mastermind, his ideas, his design that almost or does bring the world to its doom. You’ll have to watch to see. Vandal is very much the thrust of the evil of this show. That’s fun to play. QUESTION: What’s it like for you to be recording with all these original voices from the series again? PHIL MORRIS: It’s great to have these actors back in these roles, but that’s the magic of these animated projects. I think one of the things the DC/Warner Bros. people do very well is get the right people for the job, from the top down. From Bruce (Timm) and Andrea (Romano) all the way down to the cast – and they take pains to make sure that everything is as accurate as possible because they know that, as fans, we’re watching and we’re listening and we need to be served. And they serve us very, very well. They give us some of the greatest vocal talent in the business. QUESTION: You say “we” – and that collection of 20,000+ comics at home attests to your love for this genre. This is more than just work for you, right? PHIL MORRIS: It feels as though I’ve been doing homework on these characters since I was 7 years old, and I loved being able to tell my mother that I’m finally making my comic book collection pay off. Actors use whatever reference material is at hand to flush out their characters, and in that I have been a comic collector for so long, I don’t have to go too far to relate to the process of the villain or hero in this universe of comics. I feel like I am one of the rank and file who has gotten lucky enough to embody these characters. It’s a pleasure and an honor. PHIL MORRIS: It’s interesting because they always ask the question: “Is it DC or Marvel?” If you’re a real comic book fan, you had to pick a side. You couldn’t go down the middle. As a younger comics reader, I liked Marvel a lot, because Marvel reflected African Americans sooner than DC did. I think that gave me a little bit of an affinity for them. But now in my more mature years, it’s all about good story telling, and I find DC tells great stories and has great, solid characters. They have probably my favorite character in Batman. So I’m much more interested in the continuity of the universe – I was an artists guy before, relating to the pictures and the artistry. That really thrilled me. Now it’s about the concepts and the writing. I’m always looking for a good yarn. QUESTION: You played J’onn J’onzz /Martian Manhunter on Smallville. Would you like to transition that role to voiceover for animation? PHIL MORRIS: Carl (Lumbly) did one helluva job as Martian Manhunter for the Justice League series, and he hasn’t lost a step for this film. I don’t think he’s going to give up the role without a fight, and I have a total respect for Carl and his performance. It would be wonderful to do J’onn J’onzz as an animated character, as I did on Smallville. We’ll see. They keep me busy over here. QUESTION: You’ve recorded a full library of characters for animation, including many in the super hero realm. What character does your inner geek still crave to voice? PHIL MORRIS: I’ve been doing a voice for the Black Panther, but I’m not playing the Panther. They got Djimon Hounsou, and he’s terrific. But I would love to play the Black Panther. I wanted to play Green Lantern in this film. I’m an African American actor, but I don’t want that to matter at all. I think you should be able to close your eyes and voice any character, whether he’s African American or Anglo or Latino or Asian. That’s what I love about these great characters. I’d love to do the Silver Surfer, too. But for DC, I’d love to do a version of the Batman. I know Kevin Conroy IS Batman, and I love Kevin to death. But I think every actor who knows comics and loves comics would jump at the chance to do Batman. I think each of us would want to bring his own take to that darkness, to that inner turmoil that is Bruce Wayne. So it would be Batman. Kevin, I love you, but give me a one-off! QUESTION: You frequently work in both the live-action and animated worlds. What’s your favorite part of doing voiceovers? PHIL MORRIS: The best part of working in voiceover is the people you work with. I was very surprised when I first came into this world that the actors were so talented. They weren’t just people who did funny or clever voices. They are very intelligent, well-read, well-spoken, funny actors, and you get into that room and they cut it up – and THEN they go to record and they’re suddenly the most evil or heroic person on the planet. Then in between takes they’re jokey, jokey, jokey. Their wit and their imagination is unparalleled. I really have a great time working with whomever I work with from the voiceover community.